Easy peasy. That’s what this recipe is. Easy. Peasy. Lemon squeezy. Or rather lime squeezy. 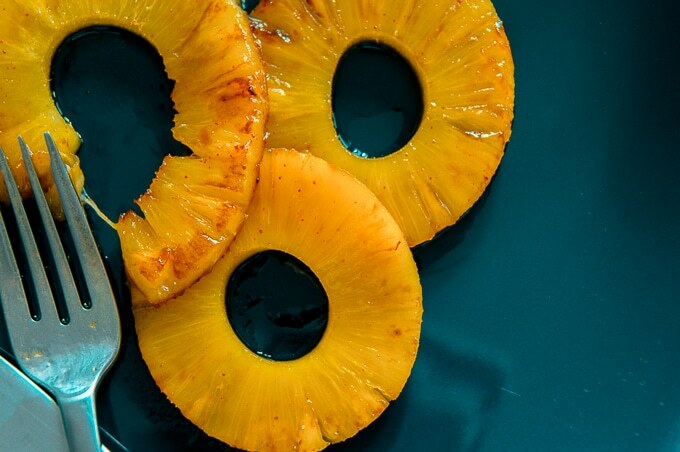 We’re going to grill up some spiced pineapples and pair them with a delicious homemade dulce de leche recipe. There’s really not much to say here, bestie! 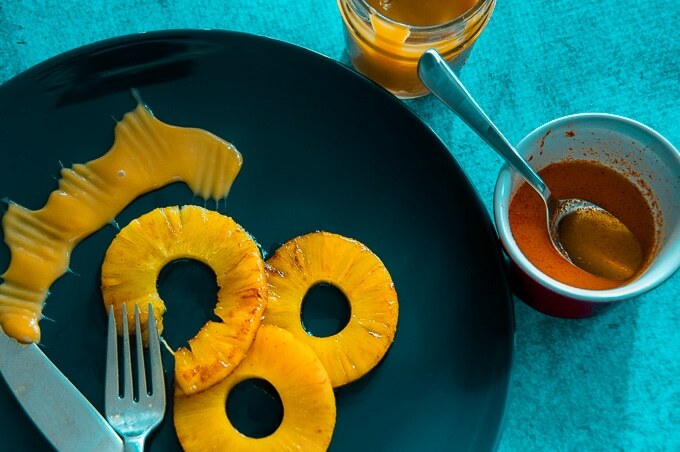 This super easy dulce de leche recipe uses a classic method to make a dulce de leche sauce, and pairs it with grilled pineapples that have been spiced with lime, honey and some paprika (for just a teensy bit of kick!). 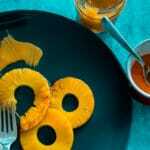 It’s a super simple dessert, so I’d recommend you plate it with a scoop of ice cream (I *ahem* forgot to buy some on the day I was taking my photos), or you can do what I did: distract your guests by plating the dulce de leche and spiced pineapples on a pretty blue plate. Either works. 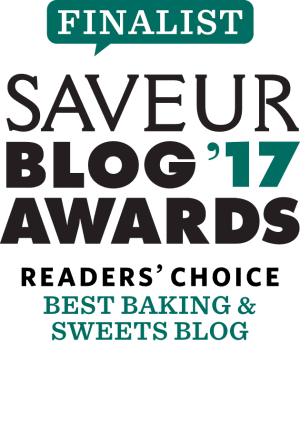 Now, if the classic method for making dulce de leche is a bit too much fuss over too long a period, you should try out my easy homemade dulce de leche with condensed milk recipe instead. The link below is an affiliate link. This means that if you choose to purchase using it, I will receive a small commission. And that would be lovely of you. Thank you. There’s not much you need here. So here’s a link to a beautiful blue plate, just in case you forget to pick up some ice cream too. Or if you’re looking for something else, head on over to the Shop. If you tried this recipe, please do comment below and let me know what you think! Make sure to follow me on Facebook, Pinterest, Instagram and Twitter for all the latest. Or just sign up to be a part of my mailing list. 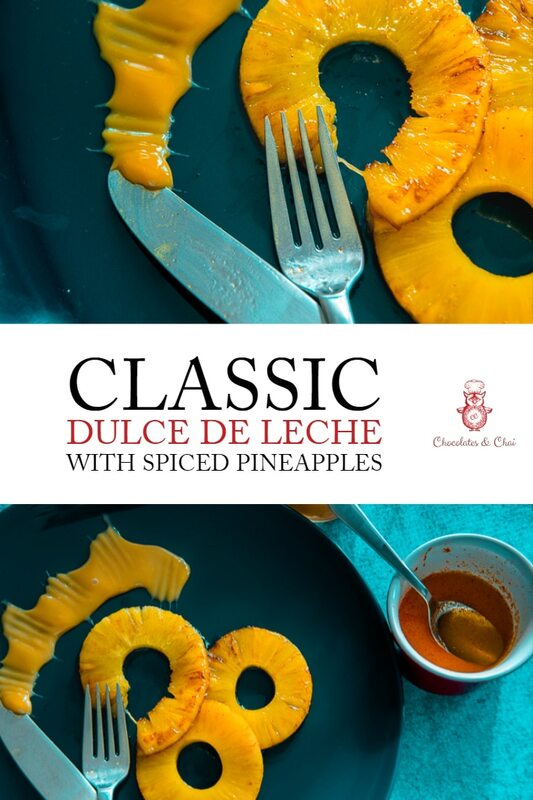 Yum, grilled pineapple is delicious just by itself, by with this delectable dulce de leche I wouldn’t miss the ice cream at all. Thanks Colleen! I love grilled pineapples too! We need more grilled pineapple recipes in the world! Thanks so much, Jo! I hope you enjoy it!!! Ok, this has two things I absolutely adore! I’m not going to lie, there has been plenty of times I’ve bought dulce de leche and eaten it straight from the jar with a spoon. Now I need to try it homemade! 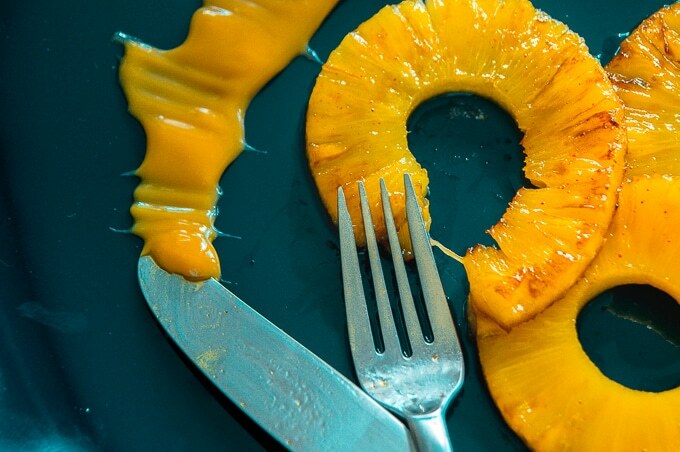 And how have I never thought to have it with pineapple? I absolutely need this. Thanks for commenting, Vanessa! Mmm…a spoon is an excellent pairing with dulce de leche!